Swimming ponds are becoming a very popular alternative to traditional chlorinated swimming pools for a variety of reasons. Swim ponds offer a truly natural environment to swim, without the need for harsh chemicals and constant monitoring and adjustment of chemical parameters. 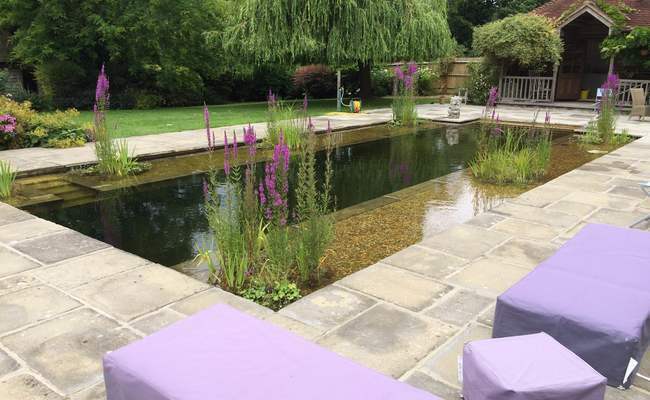 Natural swimming pools are also highly attractive features in their own right and will attract wildlife to the surrounding landscape, something that a swimming pool cannot offer. Running costs are also far lower as the filtration equipment is substantially more energy efficient. 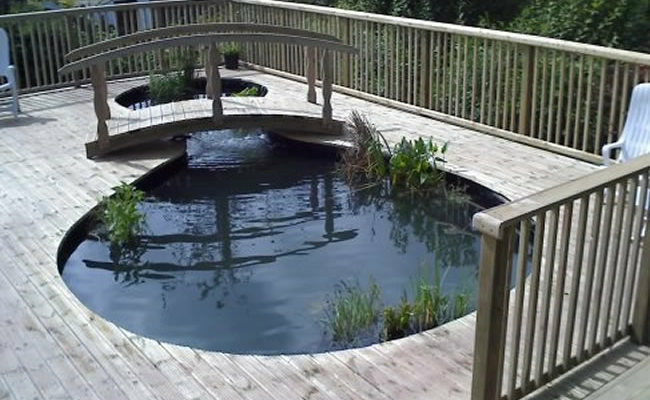 Whether you are contemplating a formal or informal swim pond, Water Garden Ltd can provide equipment and professional installation services to ensure the pond looks stunning year-round. 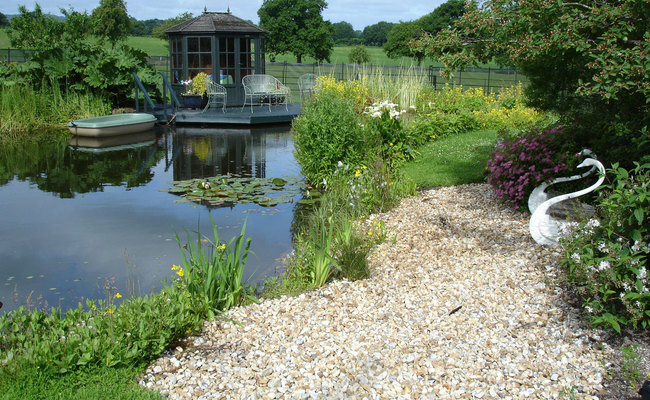 This attractive formal swim pond features both gravel bed and mechanical/biological filtration, with the equipment mounted well out of sight in a small shed behind the fencing perimeter. OASE ProfiClear Drum filters were used to ensure crystal clear water quality. 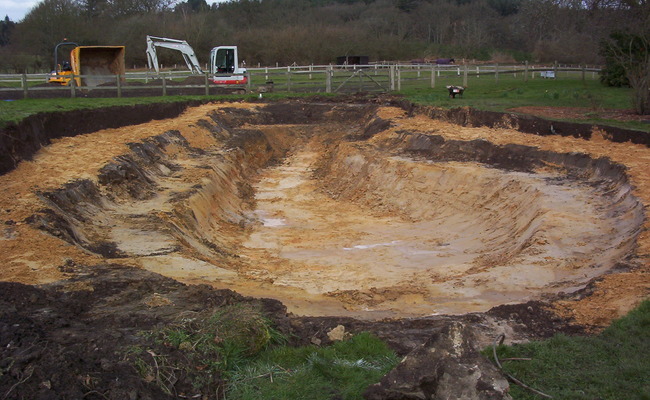 The old swimming pool footprint was utilised for the foundations of the new swim pond. Natural swimming pools enjoy much lower running costs and do not require chemical treatments, making the whole swimming experience far more enjoyable. Swim ponds also look naturally stunning when not in use. A formal swimming zone has been created and the side areas will be utilised for marginal planting and gravel bed filtration. A bottom drain and inlet/outlet pipes have been built in which will lead to the external sump and drum filtration system for purification of the water. 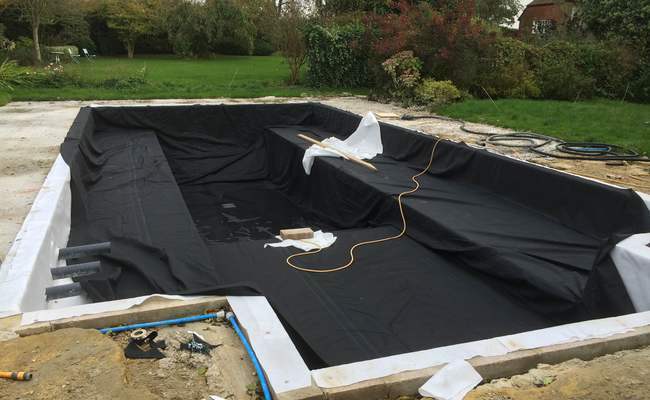 The pond area is fitted with a puncture resistant pond underlay and then covered with a made-to-measure box welded pond liner. 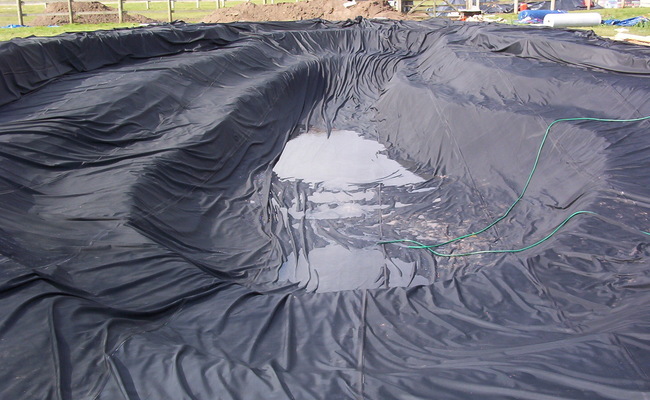 This large rubber liner is made to the exact internal dimensions of the swim pond and will provide a pleat-free watertight seal. 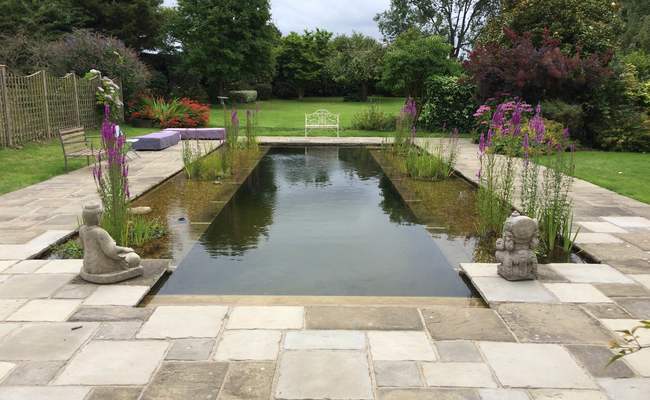 The finished swim pond blends beautifully into the surrounding landscape and is now ready for the client to enjoy. An informal swim pond offers the same benefits of a formal shaped pond with the additional of more heavily planted zones. The overhanging jetty offers a tranquil place to relax and unwind and the steps leading down invite you towards the swimming area. 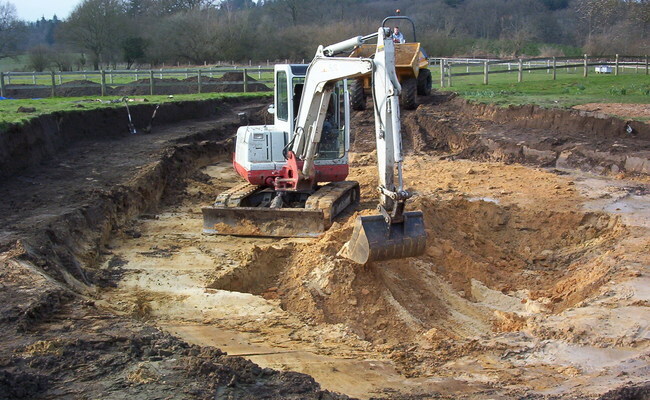 The swim pond is being excavated on what was otherwise unused land within the property boundary. The excavation is now complete and allowance has been made for the deep swim zone and marginal planting areas. 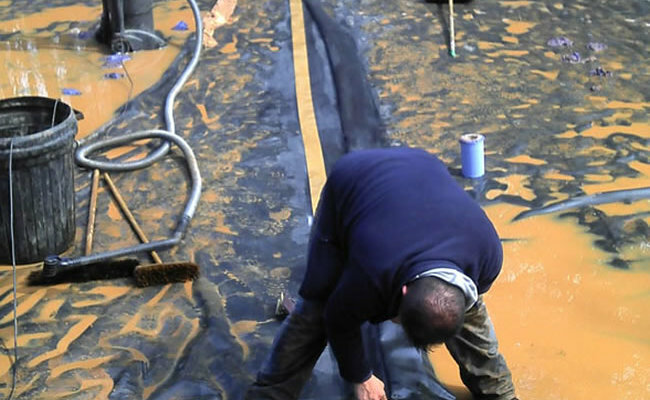 Sand has been used to act as a cushion layer before the protective underlay and rubber liner is fitted. 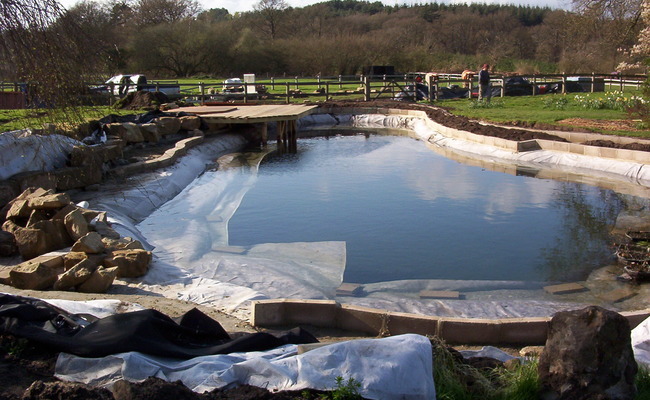 A single sheet of GreenSeal EPDM rubber pond liner has been used to create the hermetic seal within the swim pond. A special puncture resistant underlay has been used underneath the liner to prevent potential rupturing of the rubber liner due to sharp stones and future root growth. 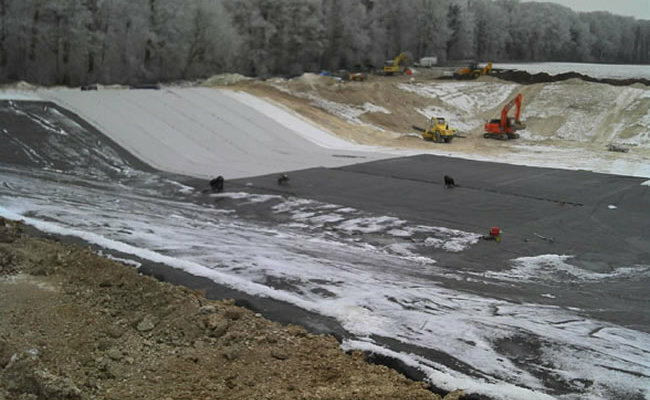 Another layer of protective underlay is being used over the top of the liner which then allows aggregate to be placed over, offering a more natural perimeter to the swimpond. The floating deck platform is also being set in position. The finished pond has been planted and a waterfall has been incorporated to add water sound and increase circulation. A filtration system has been incorporated and small hardy fish have been stocked at the client’s request. Koi ponds are an excellent addition to almost any garden, but care needs to be taken to ensure that water quality can be healthily maintained. Koi stocked ponds tend to be deeper than ornamental ponds or ones stocked with smaller hardy breeds, so provision should be made for this. Due to the size and eating habits of Koi Carp, filtration, aeration and water circulation also needs to up-scaled to cater for their demands. 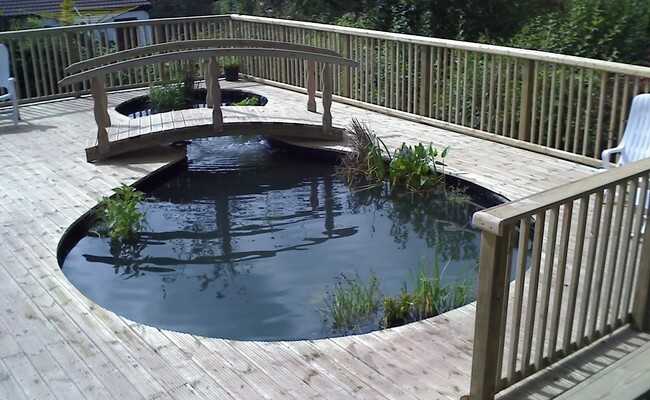 Water Garden Ltd can provide all the necessary equipment to maintain the water quality and can also suggest suitable construction professionals to design and build the pond to suit your requirements and available space. 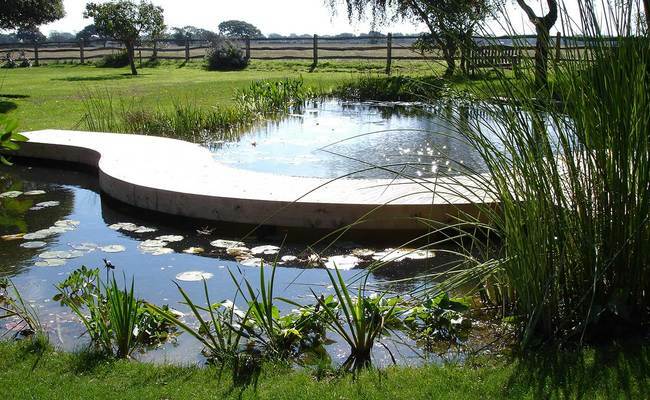 A 7 metre diameter, 70,000 Litres Koi pond with a floating seating area. The high performance OASE Drum filtration system is positioned over 20 metres away in a summerhouse. The foaming fountain adds oxygen and looks fantastic when illuminated in the evening by the submersed LED spotlights. 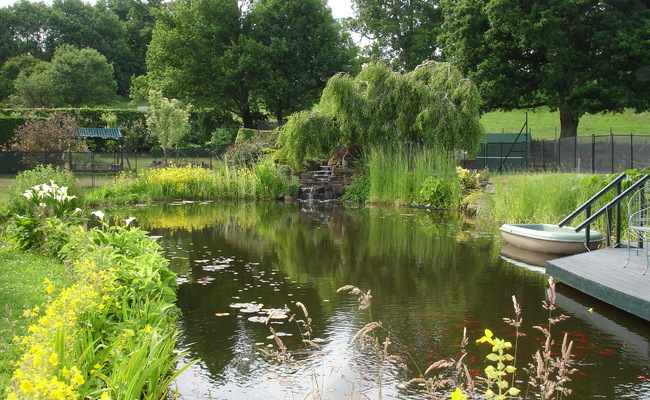 The formal pond is stocked with a wide variety of stunning Koi Carp species and are kept in top condition with the double row of automated OASE Drum filters. The pond base features 4 tapered bottom drains to carry away the waste for processing in the drum filters. 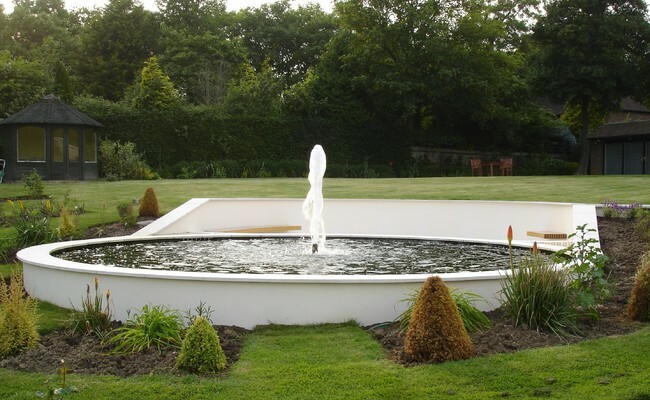 This elevated Koi Pond is well circulated through the use of solids handling pumps at the base of the pond and also assisted by a decorative fountain display which adds vital oxygen. The pond and decked terrace offers a very tranquil place to relax and unwind. This well stocked Japanese water garden contains a number of Koi Carp of various species. 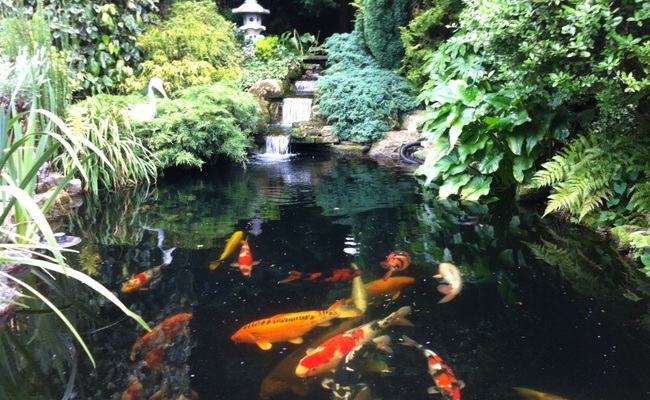 The Koi pond is actually situated in a terraced house, absorbing virtually all of the garden footprint! 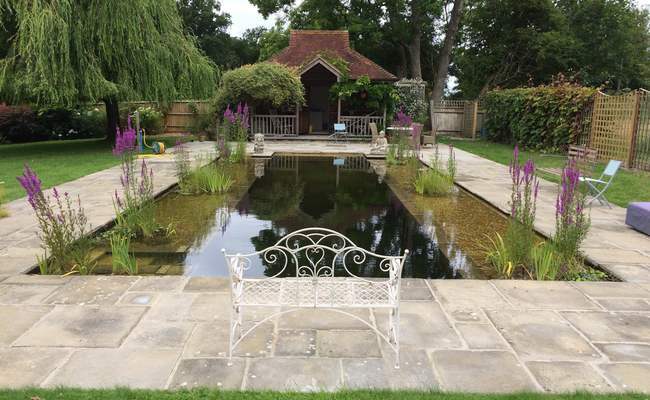 A decked patio area allows the owners to sit back and enjoy the pond whilst the newly installed automated OASE drum filter system keeps the water quality in superb condition, tucked away at the rear of the garden. Aquatic technology has taken a quantum leap forwards in recent years and the OASE ProfiClear Drum Filter Systems have made Koi keeping a real pleasure. These filters automatically clean themselves and also offer high levels of mechanical and biological filtration for the most demanding Koi ponds. OASE Germany have also developed more compact Drum Filters for smaller Koi ponds. Koi Carp can be superb pets, often feeding from your hand once comfortable in their surroundings. However, it is crucial that the water quality is well managed and good quality feed is provided in measured quantities to maintain the health of these amazing aquatic species. Water Garden Ltd can provide high quality technology and foods to ensure this is the case. 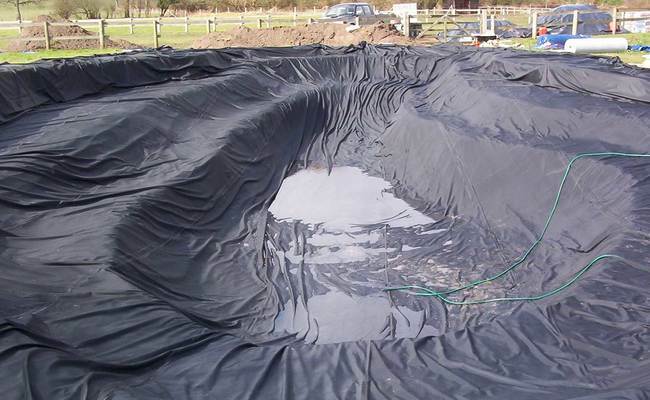 Water Garden can offer single sheet liners which are factory welded up to 40 metres x 45 metres but can also offer on-site liner joining services for lakes of any size or complexity. Fully certified Firestone trained installers are on call to complete the liner welding using their expertise to ensure these robust flexible rubber liners are hermetically sealed and guaranteed. 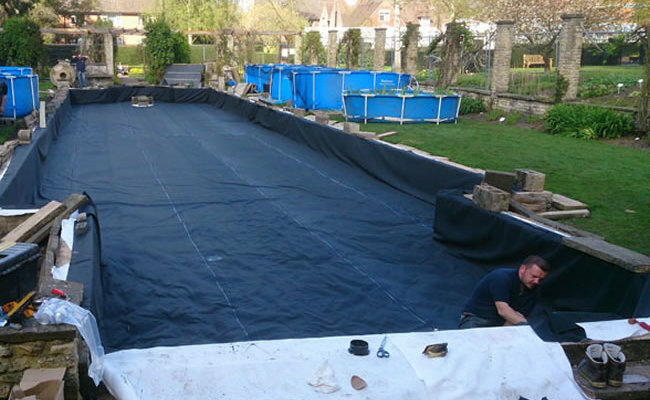 This large ornamental pond is being fitted with a 1mm thick Firestone EPDM rubber liner which is being joined on-site by Firestone Trained installers. The blue tanks in the background are being used to house the client’s new fish and planting until the new pond is ready. 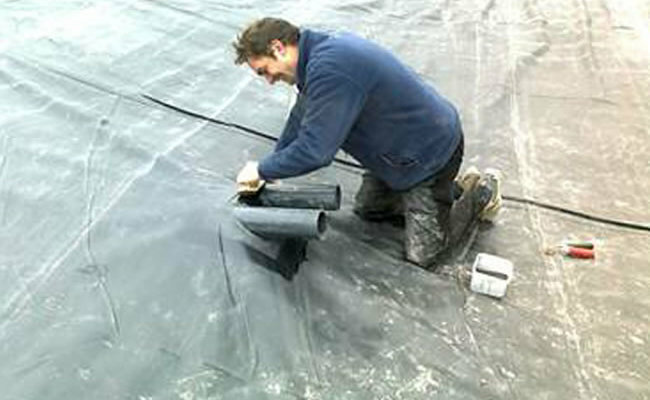 Single Sheet of GreenSeal EPDM liner, cushioned by our heavy duty underlay. A deeper segment has been created to cater for large fish whilst shallower zones will be used for marginal planting and water lilies. Finished pond after the liner installation, decked walkway and perimeter planting. As the pond establishes itself over time, it should blend beautifully into the surrounding landscape. Preparation of the grounds, ready for the new pond liner installation. Once the area has been prepared and cleared of sharp stones, a layer of sand is applied and protective underlay fitted to act as a puncture resistant barrier against tree roots and stones. 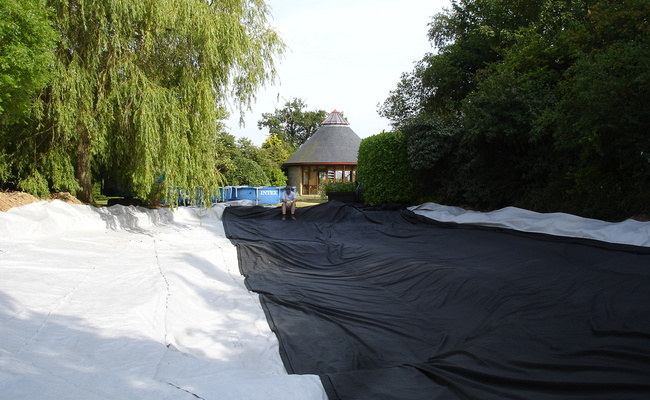 The protective underlay has been laid and the sheet of GreenSeal EPDM Liner can finally be rolled out into position. This single sheet of rubber has excellent stretch characteristics and is designed to hold water for decades to come. Large lagoon being lined in less than favourable conditions. Even at sub-zero temperatures, the highly trained Firestone installers are able to join the considerable pieces of EPDM liner together. Our Firestone pond liner being welded in situ. The heavy rainfall the night before hampered progress but the areas to be welded are carefully cleaned and prepared to ensure a guaranteed hermetic seal is created. Inlet and outlet pipes are being sealed in the Firestone liner by one of our highly trained installers. 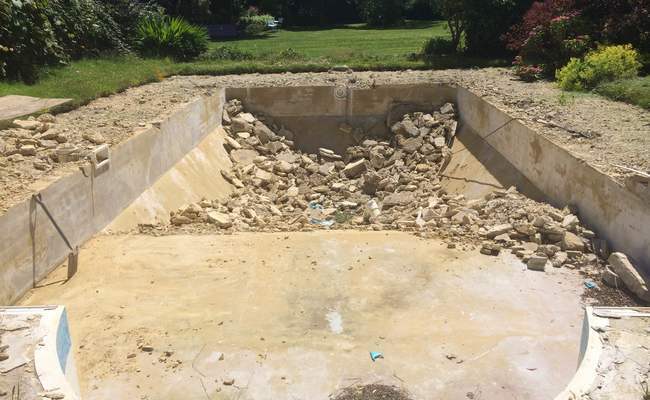 On smaller ponds, bottom drains and side inlets can be formed into the liner to allow connection of filtration systems to process the water. 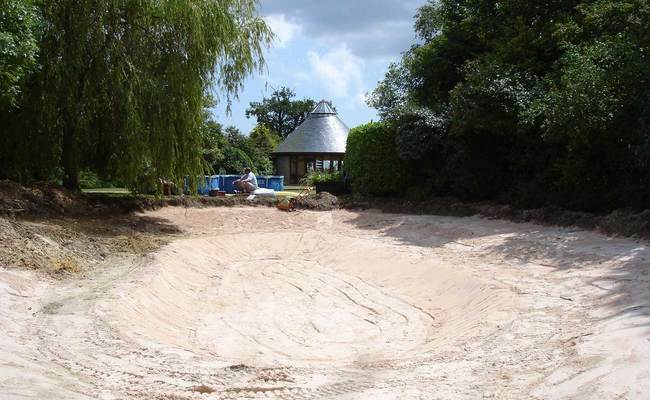 The finished lagoon with liner fitted and holding a considerable volume of water. 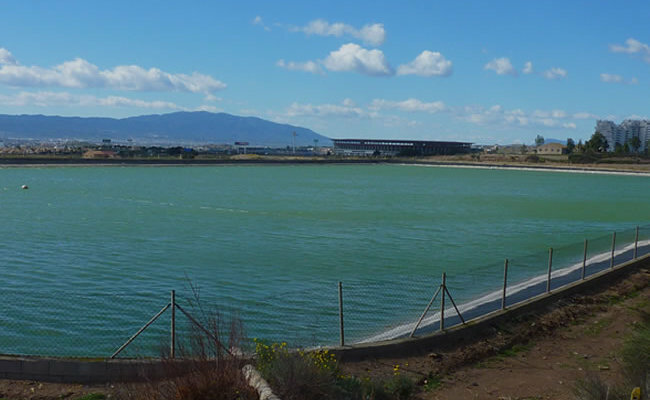 The water can be managed with the use of our lake aeration systems to reduce algal bloom and aid water circulation. 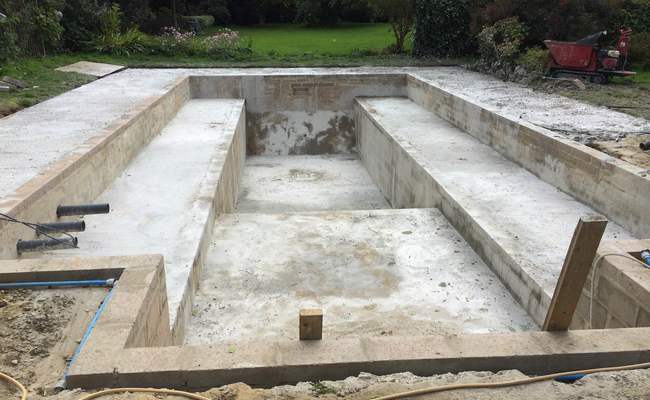 This large Swim Pond is being fitted with a large box welded rubber liner. 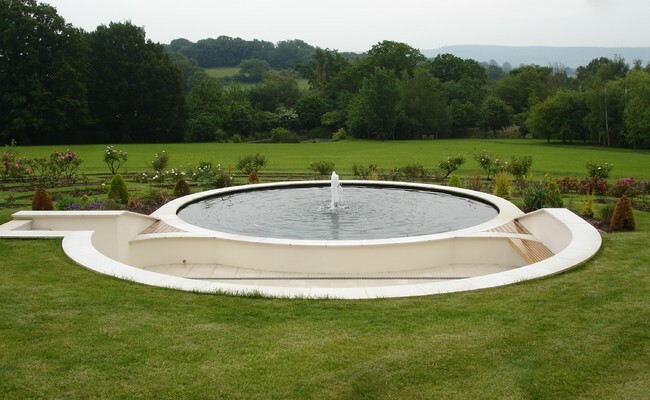 These can be produced to exactly fit the internal dimensions of the pond, ideal for formal shapes. The bottom drain lead to an OASE ProfiClear Drum filter system which processes the water without chemicals. The finished Swim Pond, now fully lined, lightly planted, filtered and ready for use. 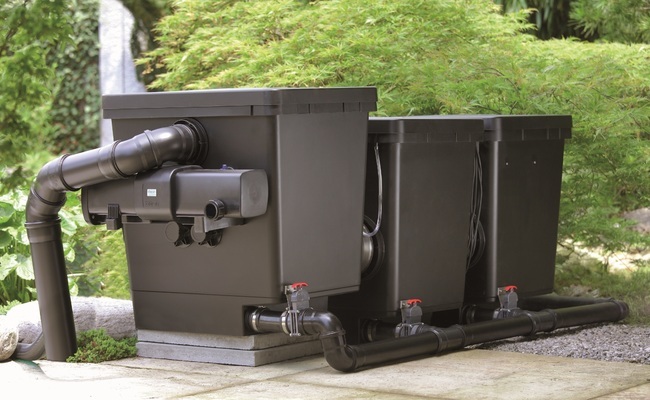 Surface skimmers have been added and connected to the filter system to collect any surface debris and these will further aid water circulation. 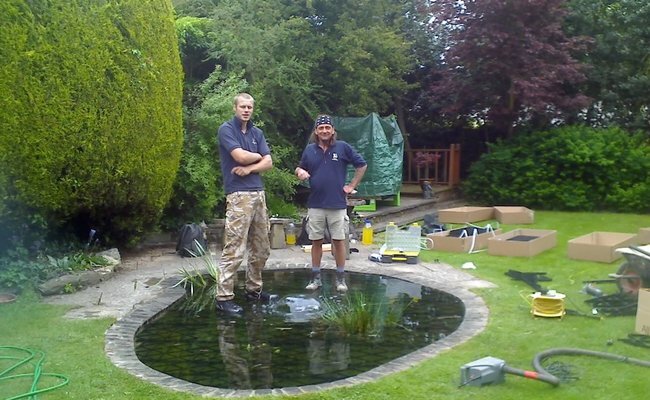 If you are looking to have a new pond built or would like an existing one renovated, Water Garden are here to help. Not only do we supply the very best aquatic equipment on the marketplace today, we can also assist you in finding a professional installer to complete the project for you. 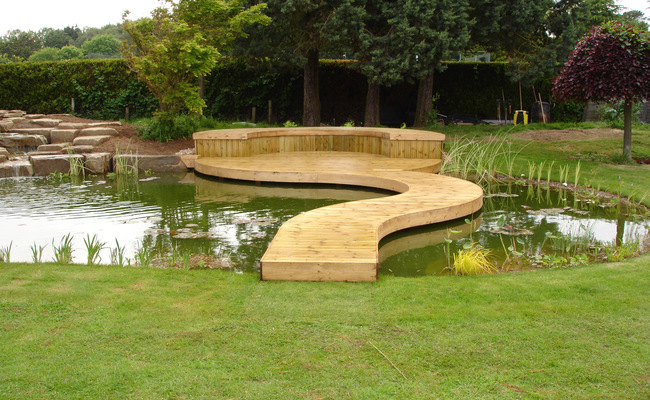 From small garden ponds to large lakes, we have the expertise and knowledge to help you realise your dreams. Newly constructed pond, sited on an elevated terrace. 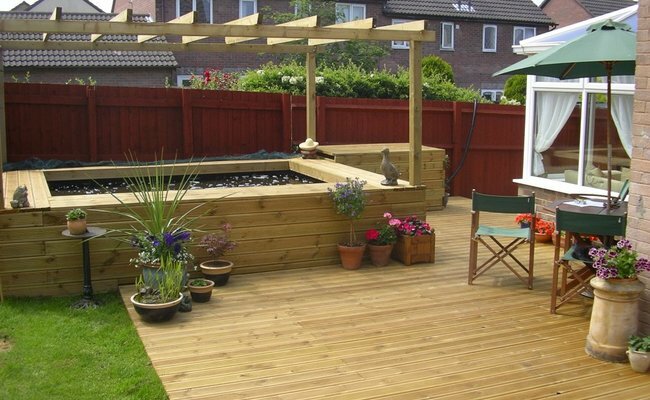 The filtration system has been thoughtfully hidden from view under the decking platform, but can easily be accessed for maintenance. 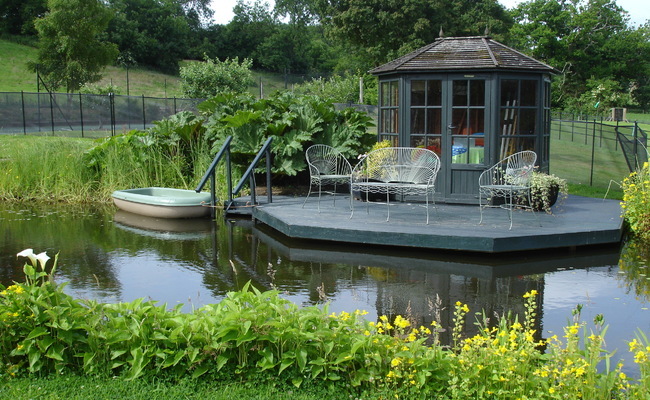 Large informal pond with decked platform overhanging. Perfect for alfresco dining. The upper pond segment also features a waterfall which can be switched on and off as the client wishes. Renovated pond originally in a poor state of disrepair. Completely re-lined together with a new filtration system and planting. 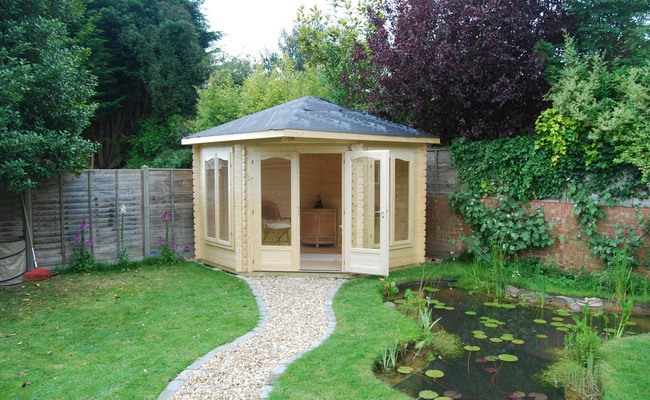 This is now being used as a swimming pond and a very tranquil area to relax and unwind. Partially raised Koi Pond with pagoda and decking. The water is kept gin-clear using an OASE filter system specified and installed by Water Garden Ltd.
Child safely need not become a concern as there are numerous options available. 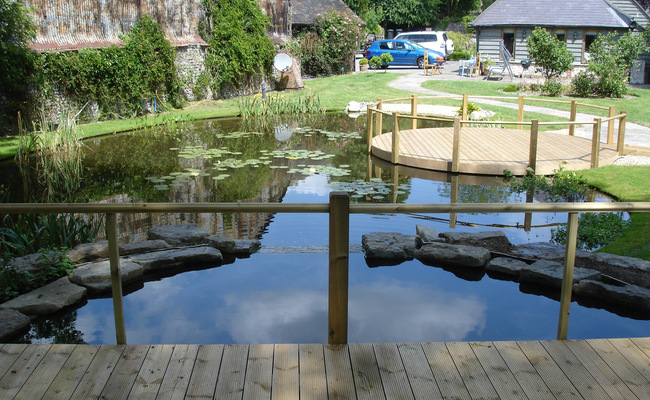 This renovated pond has been fitted with a safety grid which remains unobtrusive but can easily support adult bodyweights. Large informal pond with floating deck walkway and seating area. A waterfall has been installed to aid water circulation and to provide an attractive audible experience. Shallow zones have been created for planting which will soon establish itself. Fully lined pond under construction. 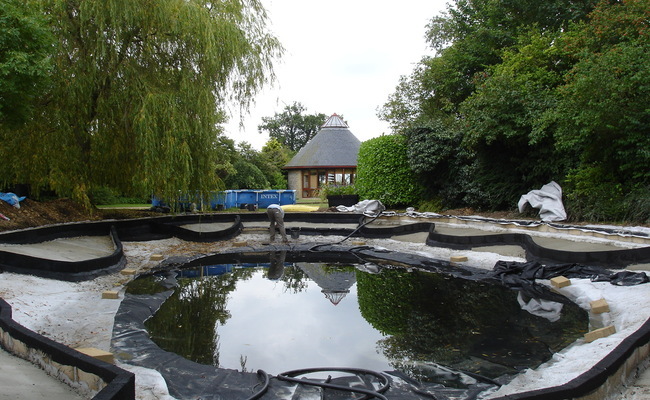 The Blue tanks in the background are used to temporarily stock the Koi Carp rescued from the old dilapidated pond whilst the new pond is being built. Wildlife Pond with summerhouse being finished off. The planting will soon become established and will provide an attraction to local wildlife and dragonflies. Please complete the form below, we only ask for your contact details so we can arrange your consultation, you won't be spammed or added to external marketing lists.